Himalayan Paradise Trek & Expedition (P.) Ltd.
P.O. Box 23304, Kapan-8, Kathmandu, Nepal. 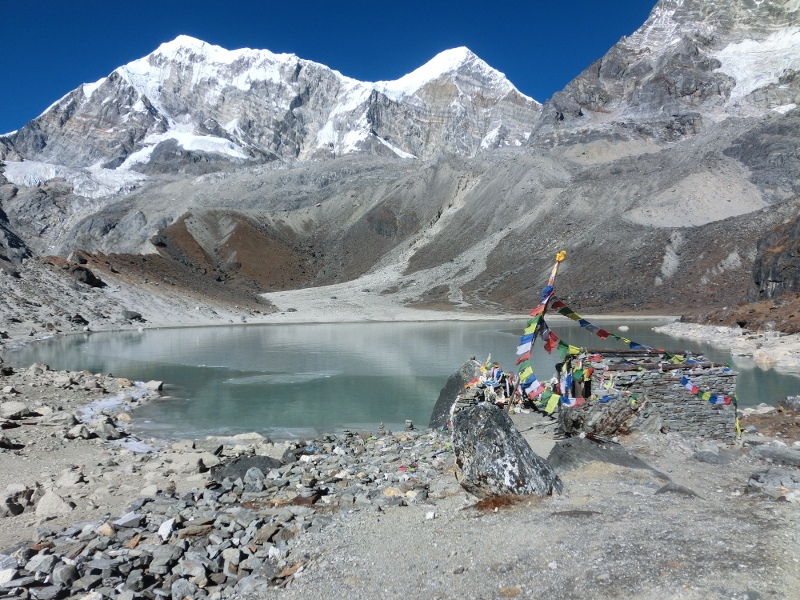 Annapurna Foothills Treks & Expedition (P.) Ltd.
Boudha Naya Basti 4, Kathmandu, Nepal. In April 2019, the political situation in Nepal is superficially stable, but disappointing in detail. The government of Prime Minister Oli, who was elected to office in February 2018, has a two-thirds majority in parliament. This could provide stability unparalleled since democratisation took place in 1990. The merger of the two left-wing government parties to form the Nepal Communist Party (NCP) at the end of May 2018 should have further strengthened this option. The problem is that this merger only took place at the top and even there it is not always consolidated. In the middle and at the grassroots level, the NCP is still a long way from unity. In view of the majority situation, Oli announced a radical change a year ago. Within the 5 years of his term of office, he wanted to decisively advance the development of the country. Numerous, partly utopian development projects were announced. However, the obvious problems that are so close to the hearts of the population remain largely unnoticed to this day. I do not want to claim that Nepal over the years has not changed seriously and positively in an incredibly short period of time. Take alone the area of our projects in Solukhumbu, which we have been able to visit more or less regularly in the past 45 years. It is a shining example in this respect, especially with regard to the village of Yawa (nep. Hewa): running water in the houses, electricity, toilets, wood-saving stoves with chimneys, panes on the windows, wooden floors, a primary school with 5 classrooms, a community centre for the village community, recently a road connection, soon to be a kindergarten and a health centre, all this was unthinkable in the mid-1970s. However, the change was only possible thanks to the unimaginable commitment of the local population, especially the younger generation and the continued support of foreign friends and organisations. In comparison, the state's contribution has remained small to this day. The criticism of government planning in this regard is that people's urgent needs are neglected. Instead, Oli talks, for example, about ocean ships to reach Nepal via developed waterways, the connection to the Tibet railway, an East-West railway line in the Tarai and the connection to the Indian railway network. These may all be good projects for the future, but for the inhabitants of Kathmandu, for example, it would be more urgent to finally make the roads, which have been destroyed more and more for four years, passable again (Only the streets in the city centre, which are constantly used by politicians and state guests, are in good condition.) and to provide clean drinking water, to name just two things. Reconstruction after the severe earthquake of 2015 is still not making real progress. Almost 2,000 schools alone have still not been rebuilt. One of the most important issues for the Oli government would have been the implementation of the federal state. In many cases, there is still a lack of legal regulations, the delimitation of responsibilities and the distribution of resources. One often gets the impression that the government does not want federalism at all and instead strengthens the central government. Provinces and local units still lack a clarification of the scope of responsibility and action. The handling of fundamental human rights deserves massive criticism. Freedom of the media and freedom of demonstration have been drastically restricted; criticism of the government via the social media is punishable. At the same time, the political parties (and this applies to all of them) cover up and court criminal elements. Women's rights in extremely patriarchal Nepal remain severely restricted, especially with regard to citizenship. The rights to better participation enshrined in the constitution and laws are simply disregarded. Violence against women is rampant; their prosecution is often politically prevented. Obviously, it is not the intention to come to terms with the crimes committed during the civil war. The commissions set up years ago for this purpose lack legal bases, resources, personnel and time. Repeatedly offered international support is strictly rejected as external interference in internal Nepalese affairs. The perpetrators of the past, at the same time, sit in government, parties, authorities, security forces, etc. and now want to provide justice for the victims. What can we expect? Corruption, the containment of which was a declared goal of Oli’s government, is increasing. Although also well-known personalities are more and more convicted of corruption (prominent example: the head of the anti-corruption authority), these persons can then bail themselves out again with a small amount of the evaded sums of money. In terms of security policy, Oli has recently cobbled together the sole right to deploy the army, a clear violation of the constitution. Three issues currently threaten internal security and the constitutional foundations of the state. On the one hand, there are independence aspirations in the Tarai, as they have been presented for years by Dr. Chandra Kanta Raut. So far this has been done rather verbally and not militantly, but Raut has, nevertheless, been repeatedly arrested. In March, Oli reached an agreement with Raut, the content of which is controversial. Oli sees in it a giving in of Raut, while the latter speaks of an agreement of Oli on a referendum about the independence of the Tarai. Significantly, he has founded a new party called the Janamat Party (Referendum Party). Further development remains to be seen. Similarly unconstitutional and threatening are the demands for a return to Hindu state and monarchy, which are no less unconstitutional than Raut's demands but are never punished with legal steps. For years, they have been put forward by the various factions of the National Democratic Party, the group of politicians of the former royal non-party Panchayat system who won only about 2% of the vote in the 2017 elections (and of course also by the deposed King Gyanendra). It is alarming that a very large number of the leading politicians of the main opposition party Nepali Congress as well are now calling for a referendum on this issue. This would bring the rights of ethnic groups, Madheshis, Muslims, Dalits and women in general back to the level of 1990 at most. The entire Maoist uprising and its few achievements would become meaningless. The Communist Party of Nepal (CPN), the remaining radical wing of the Maoist party under its leader Netra Bikram Chand, is directed not only against these two movements, but also against the constitution in its present form. This party had already attracted attention at the time the elections of late 2017 through militant attacks, which it has recently intensified again. The Oli government is not only prosecuting these crimes, but has now outlawed the entire party. This approach is very controversial among constitutional experts. Hundreds of CPN politicians have been arrested in recent weeks; the number of attacks has decreased. But we all know that even the beginnings of the Maoist movement were militantly suppressed in vain by the state in 1995. Politicians around the world do not seem to be able to learn from history. Erdbebenhilfe Nepal des Vereins Lichtblick Nepal e.V.